Impress your friends with your famous martinis wherever you are. You'll be surprised by how much we pack into this little case! Set includes three 8 oz. stainless steel flasks, shaker, jigger, stirrer and 4 cups, all in a stately a black "buffalo" leather carrying case. 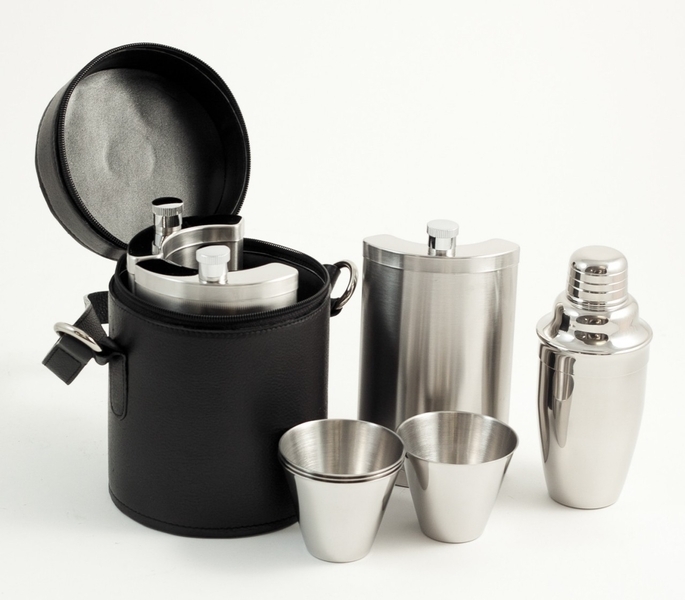 Make your famous martinis away from home with this 10 piece stainless steel travel set!